Hi all! Today I have the next video in my Quick Tips series, however it's not so quick this time. 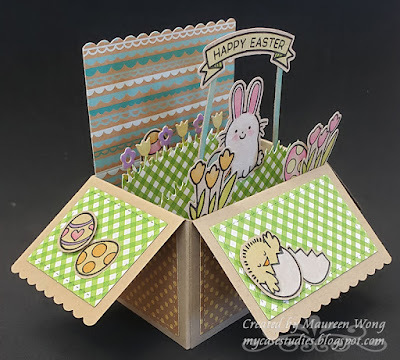 But I still think it's a pretty good tip - making templates for your more difficult layering stamps (or all your layering stamps if you want!). 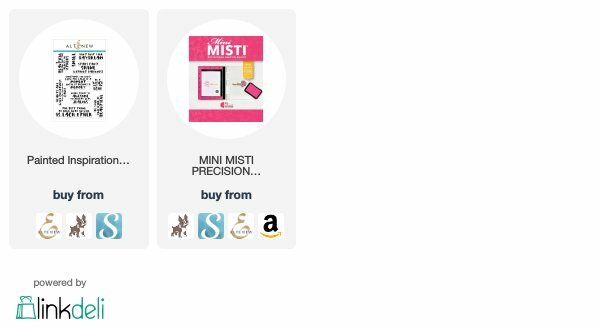 *Affiliate links cost you nothing extra, but help me out! Thank you for shopping with them! 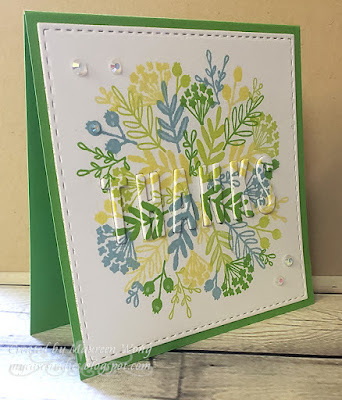 I used the stamp set from the Everyday Bouquet Turnabout Toolkit, positioning it in my MISTI using the included guide and then cut a piece of white cardstock into a 4.5" square. I stamped the image 4 times with My Favorite Things inks (Berrylicious, Green Room, Limelight, and Banana Split which is apparently discontinued - sorry! ), turning the square each time and cleaning off the previous ink. I then diecut the panel using a Your Next Stamp stitched square die and the Thanks word die from the Toolkit. I cut the Thanks 3 more times from white cardstock and stacked them together. I adhered the panel to a Green Room card base and fit in the white letters. I then glued the patterned letters over the white letters and finished off the card with some Lucy's Cards Jewels. 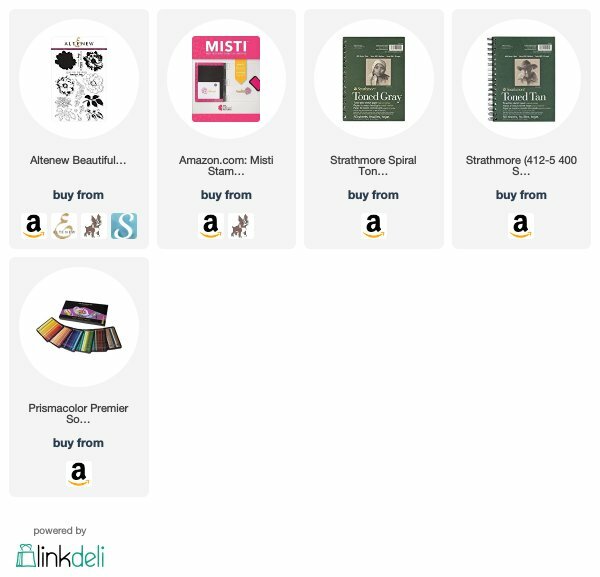 *Affiliate links don't cost you any extra, but help me out! Thank you! 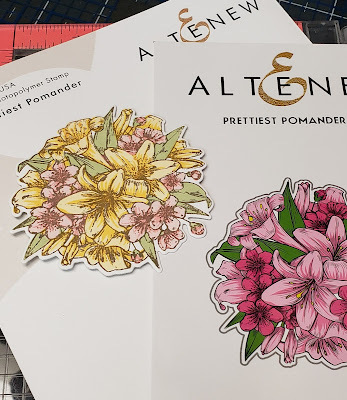 I took a piece of Arches watercolor paper, prepped it with my anti-static powder bag, then inked up the largest image from the Fine Line Florals set and stamped in my MISTI several times, reinking each time to make sure the ink really got into all the nooks and crannies of the paper. I then heat embossed the image with Hero Arts detail white embossing powder. I used blue painter's tape to stick my paper down to an old wooden cutting board to keep it flat while I watercolored. Then I used a bunch of different Daniel Smith watercolor paints to color my image. I added some paint spatters then dried the whole thing with my heat tool. I die cut the panel using a Your Next Stamp stitched rectangle die and also die cut the the WITH LOVE from the panel. I adhered the panel to a card base of Teal cardstock and then used my glue sponge to add the letters back in because I wanted a really subtle look with the sentiment. Finally I added some sequins from Lucy's Little Things. 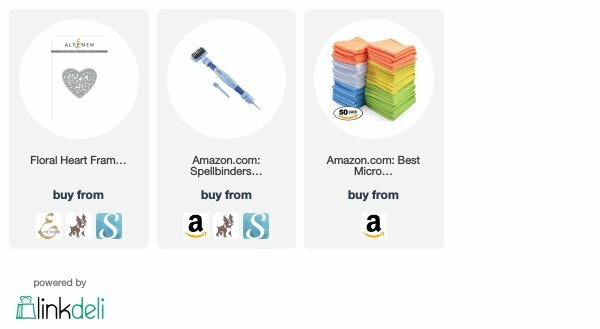 *Affiliate links cost you nothing, but helps me out! Thanks! I felt like doing colored pencils on kraft and making a whole kraft project, so I did! 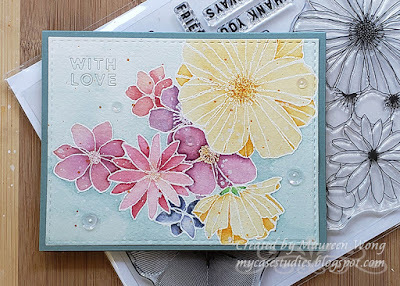 I stamped all the images (some multiple times) with Gina K.'s black amalgam ink on the Toned Tan paper with my MISTI then colored with colored pencils and blended with Zest It. I put it back in the MISTI and overstamped with Versafine because it gives such a nice black, crisp line. Unfortunately I don't have dies for this set so I cut them out with my Scan N Cut. Apparently my SNC had a little difficulty with the tan background so I had to trim off some weird extra bits with scissors. 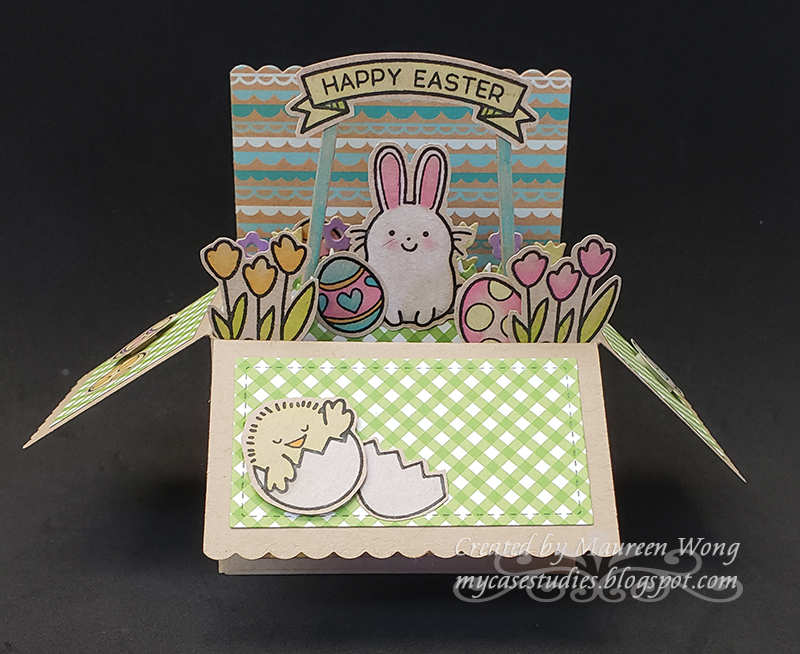 The box parts were cut out of Papertrey Ink kraft cardstock and the patterned paper is from the Doodlebug kraft 6x6 paper pad. Then I just assembled everything (make sure to put in that paper for the back panel before you assemble because it's harder once the box is put together). Most were just stuck on with my ATG gun, but a few things were popped up on foam tape. Hi all! I have the second video in my Quick Tips series for you today. FYI - my video camera broke so I'm now filming on my phone. That's why it looks different. 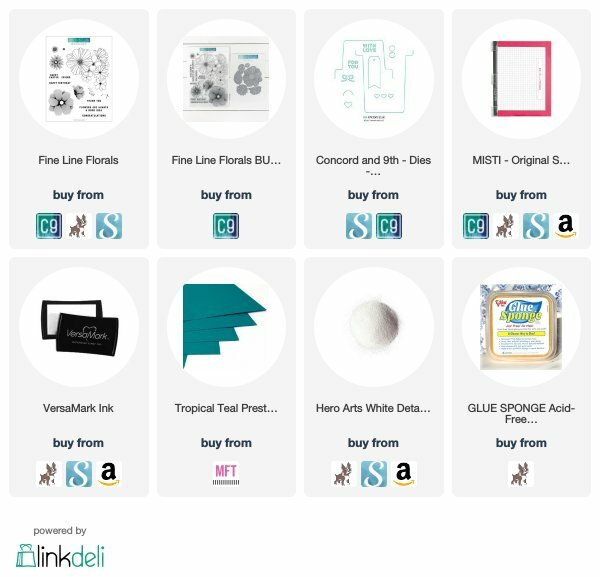 *Affiliate links below don't cost you anything extra, but help me out. Thank you! Hi all! I was filming a project video and had so many little tips to share that the video became much too long for anyone to want to watch! So I decided to start a series called Quick Tips sharing just the little tips I come up with so you don't have to watch a whole project video just to get a couple of little tips and tricks. #1 has a couple tips about working with intricate diecuts. 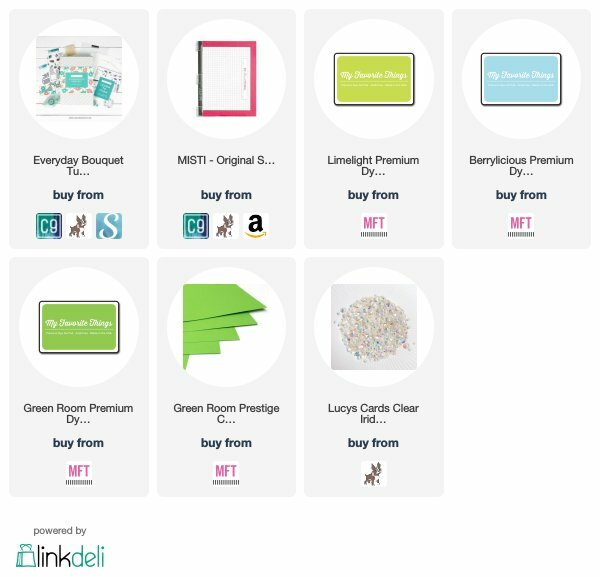 Hope you find these them helpful! That's all for now, but I'll definitely have more Quick Tips to share with you in the future! TFL! 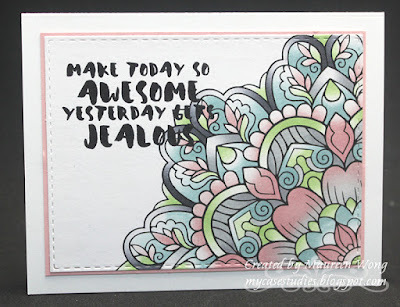 I just love this sentiment from the Altenew Painted Inspiration stamp set! I also picked it because it's a very bold font so I thought it would still be readable even over the bit of the mandala (I hope it is!). Mandalas are very popular and fun to color, but buying big mandala stamps can really add up, so I thought I'd share one solution I've come up with - I bought a digital book of mandala designs to color! I looked around for a while to find a whole book (as opposed to buying single images, which also adds up) with designs that I would actually want to color. I finally found this one, Blooming Mandala coloring book, on Etsy that I love! It's got 50 images and they are really pretty and fun to color! They are meant to be printed on letter size paper so I just cut it up into 4 pieces and colored one. I printed on plain old Georgia Pacific cardstock from Walmart and colored with Chameleon alcohol pens. I wouldn't recommend trying to do a lot of blending on this cardstock because it does tend to bleed a lot, so the Chameleon pens were perfect to get that gradated look without any blending. After coloring, I die cut it with a stitched rectangle die and matter with a piece of Blushing Bride cardstock from Stampin' Up! I stamped the sentiment using my Mini MISTI and Versafine several times to get it really nice and solid, then embossed with clear embossing powder. 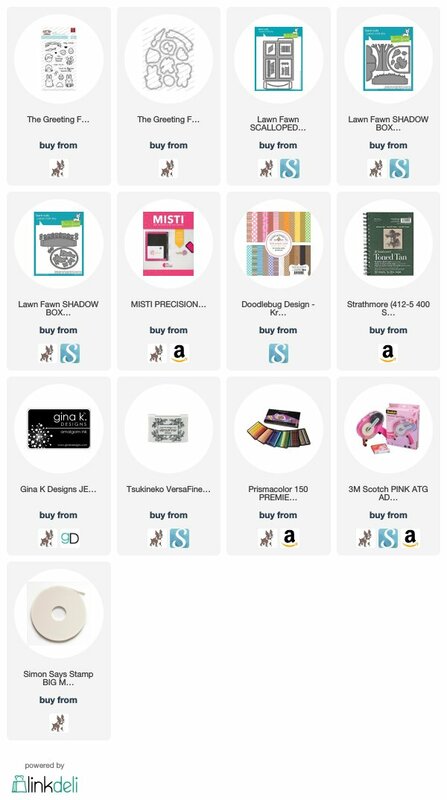 Affiliate links don't cost you any extra, but help with the cost of my stamping addiction!